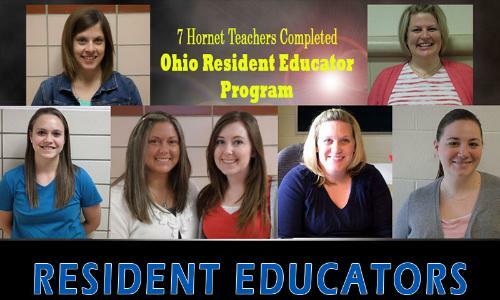 Congratulations to the first group of teachers to complete the Ohio Resident Educator Program. The program is a four-year induction program that provides on-going support to Ohio's new teachers throughout their residency. These teachers have worked hard for the past four years and should be proud of their accomplishment. The teachers completing the program are: Emily Gorman, Melanie Stanley, Ashley Gehm, Erin Graber, Joanna Rummel, Devon Wilhelm, and Jessica Thornton.